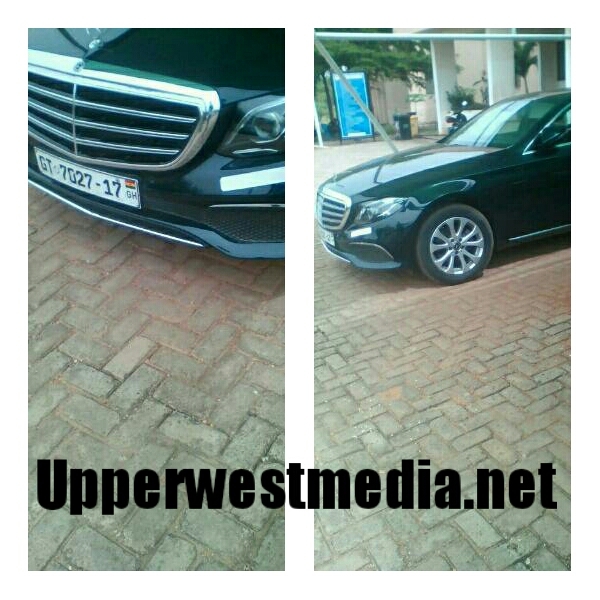 The Wa Polytechnic Rector has dismissed allegations that he acquired his official Mercedes Benz through fraudulent means. 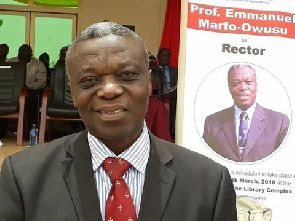 Prof. Emmanuel Marfo-Owusu said having worked as a professor for more than seven years, he is capable to afford any Mercedes Benz of his choice. “I am a person who has been well trained and has not taken anyone’s mone… they [lecturers] are thinking that the car is very expensive,” he told Joy News’ Evans Mensah on Newsnight Monday. Prof Marfo Owusu’s comments follow the decision by some angry lecturers of the Polytechnic to chase the Rector out of the campus on Monday afternoon. The lecturers blocked the road to prevent him from having access to his office after he had allegedly exchanged words and threatened to fire a security officer at the school. While the Rector managed to escape the attack by the club and stone-wielding-lecturers, he could not escape the chants, “thief, thief, thief,” from the same lecturers. The three Unions, the Polytechnic Teachers Association of Ghana (POTAG), the Polytechnic Administration Association of Ghana (PAAG) and the Polytechnic Workers Association of Ghana (POWAG) have all demanded his removal from office. The Rector is alleged to have procured a vehicle for himself at the cost of over ¢500,000 without the approval of the Governing Council. The lecturers accused him of procurement fraud and abuse of office and petitioned the school’s Governing Council to remove him from office until investigations vindicate him. That was granted, although the Rector has sought an injunction preventing the Council from investigating him. His presence at the school on Monday infuriated the lecturers who did not want him around, at least until investigations into their claims were concluded. According to him, if there is any problem with regards to buying the car at that high price, they should blame the conditions of service. He said he never circumvented any procurement procedure and challenged the lecturers to bring whoever they want to go over the documents. April 10, 2018 in News.